Man. The effects of isolating your face from sunlight, fresh air, and proper hygiene for a few years can really have a terrible effect. 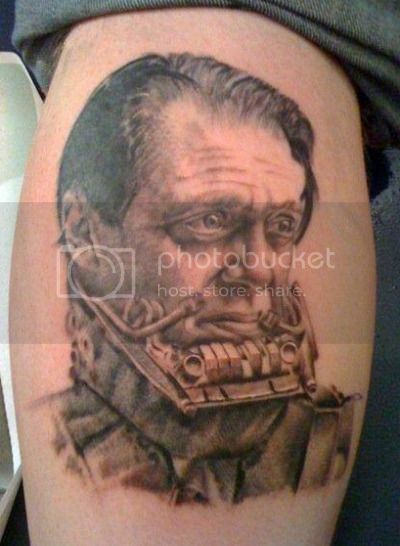 Via Ugliest Tattoos, who get bonus points consistently being literal. If Steve Buscemi is Darth Vader, then Christopher Walken would have to be Palpatine. The only guy who has any sane reason to get that tattoo is… forget it, there’s no sane reason. Steve Buscemi as Unmasked Vader trumps sanity.